What gives this magazine its heart and soul are the contributions of the people who know the path of pain. Your stories and experiences and insights bring hope and encouragement to others who may be just beginning their journey into the world of grief. We encourage you to write and share. Write from your heart about what you know because you’ve been there! We like to keep the stories about 1,200 words (but we are flexible). If your material is published, you’ll receive complimentary copies of that issue, and we offer you a full page in that issue to promote whatever resource you’d like to share with our readers. Happy writing! 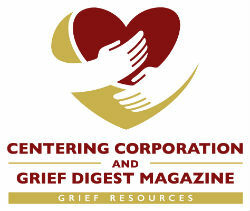 By submitting your article to Grief Digest magazine you are giving us permission to share your article through our magazine and our website. We will contact you with more information.